The Victoria Chiropractic Clinic in Woking was established over 40 years ago. These centrally located premises offer a broad range of therapies that complement and extend the scope of the clinic. 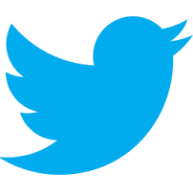 This gives you the best opportunity to promote your overall health and wellbeing. As the clinic continues to grow the values remain the same: expertise, high levels of service and a friendly but modern feel. 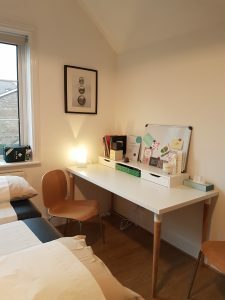 During 2017, I worked very closely with the Clinic Manager and Chiropractor Nicola Worrill BSc (Hons) PhD, DC, in the set-up of a newly decorated room, specifically tailored to the practice of acupuncture. A big thank you to all the staff at the Victoria Chiropractic Clinic for all their help. I love the feel of the room and it is a pleasure to work there! You can book appointments by ringing the clinic direct or by filling in the form on the ONLINE BOOKING facility here. This only shows the remaining free appointments for the next 3 weeks, so if you want to book further ahead, please ring the clinic. The Victoria Clinic is located on the edge of Woking town centre, with free on-site parking at the back, accessed by driving into The Grove. This car park has only a limited amount of spaces, but patients will be leaving about every 15 mins – so if you arrive early and hover there will eventually be a spot available. The clinic is also only a short walk from the shoppers’ car parks (2 mins from Brewery Road Car Park) and Woking mainline station. In addition, vouchers for on-street parking are available for purchase from the clinic reception. Please notify me if using these, so I can assure you do not exceed the 1hr maximum parking slot. I am only 5 minutes drive, 15 minutes walk from the Woking Nuffield Victoria Wing and the walkable distance to Woking Mainline station means easy access to London fertility clinics. When pre-arranged, out of hours transfer times (even very early in the day) are not a problem and some flexibility is possible if needed. WE WILL ALWAYS DO OUR BEST TO FIT PATIENTS IN ASAP, BUT I DO GET VERY BUSY. If planning to have acupuncture alongside IVF, especially if you would prefer Saturday slots, please contact me or the clinic well in advance (preferably a few weeks before the start of your cycle, so we can look ahead and schedule – see tips on treatment schedules on the Assisted Conception page), to avoid the added stress of trying to find appointments at the last minute. 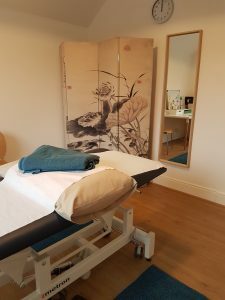 If you would prefer to find out whether acupuncture can help you first before contacting the clinic, please use the e-mail at the top right of the page and I will get back to you as soon as possible. Embryo-transfer: £ 120.00 – 2 treatments of 1 hour each, usually immediately before and after ET – please see the extra page on Assisted Conception Schedules to find out how this works. Late cancellations or missed appointments: I do implement a discretionary 24 hour cancellation fee, equivalent to the full treatment fee due, as repeated late cancellations or no-shows do not just affect me, but also other patients who would prefer to book into sought after slots. You will be sent a text reminder for regular appointments, so please cancel if you can’t make it by ringing the clinic on 01483 723 688. This does not affect late changes/cancellations due to last minute adjustments for booked in assisted conception transfers.